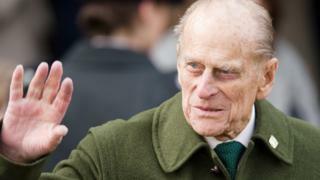 The Duke of Edinburgh has written to a woman injured in a car crash he was involved in near Sandringham in Norfolk to say that he is “deeply sorry”. Prince Philip wished Emma Fairweather a “speedy recovery”, adding that he was “somewhat shaken after the accident”. The 97-year-old suggested he did not see the car she was a passenger in on 17 January because of bright sun. His Land Rover Freelander collided with a Kia driven by Ms Fairweather’s friend after he pulled out of a driveway. 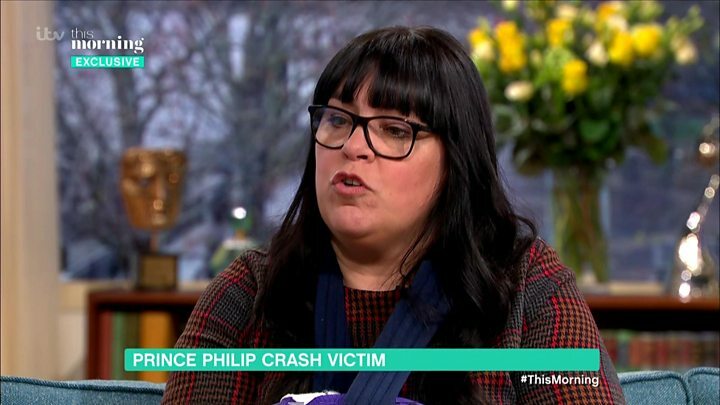 The duke’s vehicle flipped over in the crash, which took place on the A149 near the Queen’s country estate, and he was helped out by a passing motorist. The other car involved was also carrying a nine-month-old baby boy, and his mother who was driving. Ms Fairweather, 46, who broke her wrist, described the letter from the duke, dated 21 January, as a “nice touch”. She had previously complained of a lack of direct communication from Prince Philip, saying she had only been contacted by a police family liaison officer and one of the Queen’s ladies-in-waiting. In the note on Sandringham House headed paper, which has been reproduced in the Sunday Mirror, the Duke acknowledged her “very distressing experience”. Media captionEmma Fairweather, who broke her wrist in a car crash with the Duke of Edinburgh, describes the “surreal experience”. He said: “I would like you to know how very sorry I am for my part in the accident”. Prince Philip said he had used the crossing many times and was aware of the “amount of traffic that uses that main road”. He said it was a bright sunny day and at about three in the afternoon, the sun was low. “In other words, the sun was shining low over the main road. In normal conditions I would have no difficulty in seeing traffic coming… but I can only imagine that I failed to see the car coming, and I am very contrite about the consequences,” he wrote. The duke said a crowd began to gather and he had been advised to return to Sandringham by a local police officer. The paper reported Buckingham Palace has confirmed the letter is genuine and it is understood a similar note was sent to the driver of the Kia. The Duke of Edinburgh, who took delivery of a replacement Land Rover after the crash, was later reportedly spoken to by police after being pictured driving without a seat belt two days after the crash.